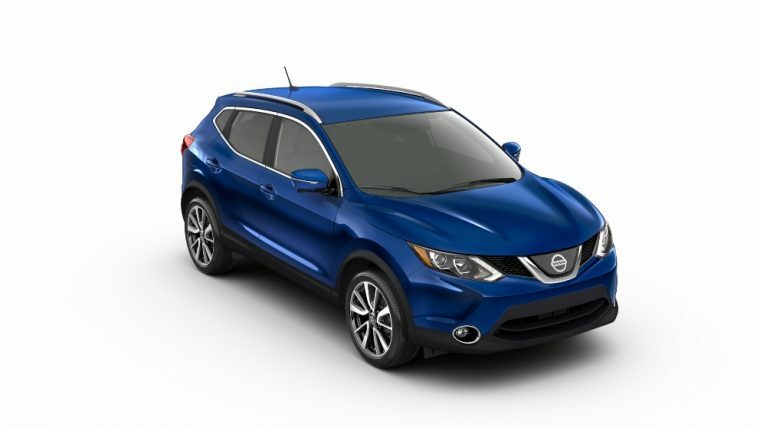 The editors at Consumer Guide® Automotive deemed the 2019 Nissan Rogue Sport a Best Buy for the second year in a row. Scoring the nod in the Subcompact Crossover/SUV, the 2019 Rogue Sport features advanced safety features and impressive connectivity technologies as well as a comfortable interior with plenty of cargo space. The 2019 Nissan Rogue Sport features front-wheel or Intelligent All-Wheel Drive on its three available trims — S, SV, and SL. Its 2.0-liter DOHC 16-valve inline four-cylinder engine is paired to an Xtronic CVT with Eco Mode switch to generate 141 horsepower. Shorter by 12.1 inches compared to its sibling the Rogue, the Rogue Sport is designed for city driving. The subcompact SUV, which accommodates up to five passengers, features a sporty exterior with seven exterior colors to choose from — Brilliant Silver Metallic, Magnetic Black Pearl, Glacier White, Pearl White TriCoat, Scarlet Ember (new), Gun Metallic, and Caspian Blue Metallic. With the second row seat folded down, the 2019 Rogue Sport offers 61.1 cubic feet of cargo room. To help keep your gear organized, the Rogue Sport is equipped with the Divide-N-Hide® Cargo System, six luggage hooks, and a cover in the cargo area. Smartphone integration is possible via Apple CarPlay™ or Android Auto™, both of which are standard on the model. A 7.0-inch color touch-screen display is easy to manipulate while premium sound pumps through nine speakers in the available Bose® Audio System. The popular Rogue Sport delivers Nissan’s most advanced safety features. Nissan Safety Shield 360 encompasses six driver-assist technologies — Lane Departure Warning, High Beam Assist, Automatic Emergency Braking with Pedestrian Detection, radar-based Blind Spot Warning, Rear Automatic Braking and Rear Cross Traffic Alert — all designed to help keep you and your passengers safe.